BROOKLYN, N.Y. - The Central Connecticut State University women’s basketball team lost its regular season finale on the road to LIU Brooklyn at the Steinberg Wellness Center on Sunday, 63-57, but has secured the No. 7 seed for the Northeast Conference Tournament. In the loss, Blue Devils senior set a new school record for most 3-pointers made in a season, while also setting career-highs in both points and three-pointers made in a game. Patterson led the way in the game with 26 points, including seven 3-pointers. Patterson hit her sixth 3-pointer with 53 seconds to go in the game to cut LIU Brooklyn’s lead to just 58-56, but the Blackbirds hit 16 of 20 free throws in the final quarter, including 5-for-6 in the final minute, to ice the game. 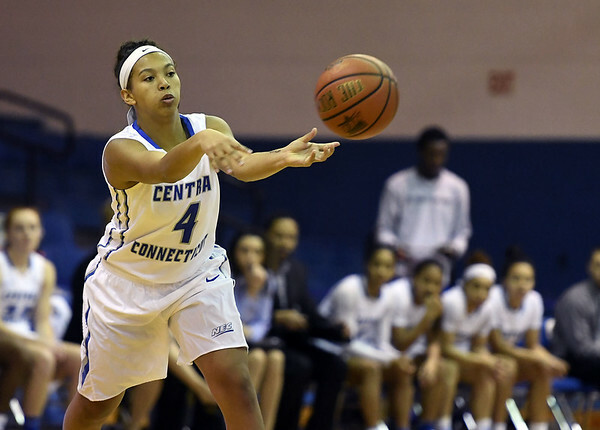 CCSU wrapped up the regular season 7-22 overall and 7-11 in NEC play and will play at either Robert Morris or Saint Francis University in the NEC Tournament quarterfinal round on Wednesday. The Blackbirds improved to 8-10 in the NEC and 12-17 on the year. Patterson’s third 3-pointer of the game, coming with 5:49 left in the second quarter, broke her own program record for most 3-pointers made in a single season (71), set during the 2016-17 season. She now has 76 for the season. The first half of Sunday’s game saw each team make multiple short runs, with LIU Brooklyn building a 12-point lead with 4:23 left in the second quarter. Trailing by 11 with just under four minutes to go before halftime, Central made a 7-0 run to help gain some momentum back. In that stretch, freshman Ashely Berube powered in buckets on back-to-back possessions and swatted away a pair of clean blocks, while junior got her first points of the match on a 3-pointer from the top of the key to bring the Blue Devils to within 30-26 at the break. CCSU started the second half with a 13-6 run to take the lead at 39-36, its first advantage since the 4:33 mark of the first quarter. The run was capped by Patterson’s fifth 3-pointer of the contest, coming with 5:48 left in the third. Berube finished the game with nine rebounds to lead CCSU. LIU’s DeAngelique Waithe led the Blackbirds with 21 points. Posted in New Britain Herald, CCSU on Sunday, 4 March 2018 21:16. Updated: Sunday, 4 March 2018 21:19.